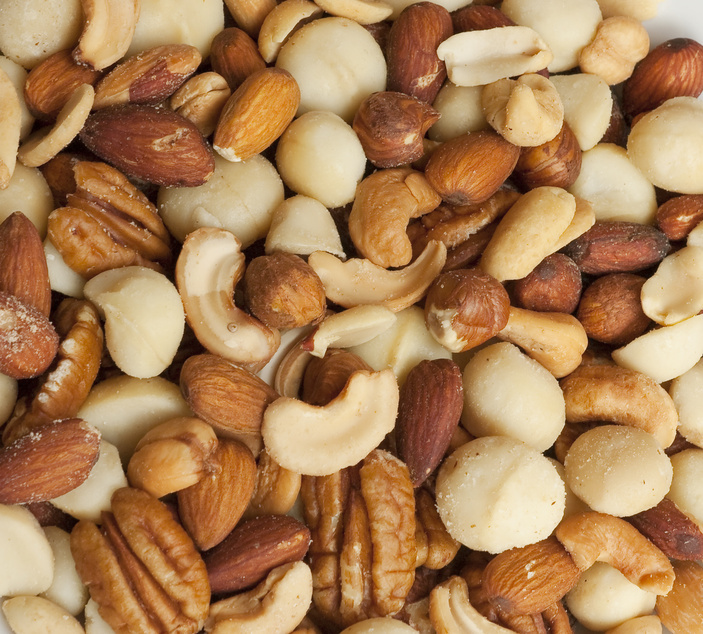 Most doctors I know - conventional and alternative - recommend eating nuts. But nuts contain a lot of calories - about 170 calories per ounce. And many people, including me, love to snack on them. So are these tasty treats making us fat? The interesting thing is that studies using food diaries show that the more frequently people eat nuts, the less fat they are. So what's the deal? Recently some researchers examined all the literature to date. They were looking to find some studies that put half of the participants on a diet high in nuts and the other half on a diet without nuts. All together they found a total of 33 studies that did just that. Then they added up the results. They found that there was no difference in the people eating the nuts verses those not eating them. This was true not only for weight, but also for waist size. So nuts are not fattening. Most nuts are high in magnesium and vitamin E. Brazil nuts are particularly high in selenium which is often deficient. Low levels of selenium can lead to breast and prostate cancer. Walnuts are the only nuts that are high in the essential omega-3 fats. Probably the best idea is to eat mixed nuts, since that will give you the best balance of the various nutrients. And you can do so knowing they won't pack on the pounds. Flores-Mateo G, Rojas-Rueda D, Basora J, et al. Nut intake and adiposity: meta-analysis of clinical trials. Am J Clin Nutr. 2013 Jun;97(6):1346-55.